ONE OK ROCK: What’s Next for them? ONE OK ROCK have some of the craziest and enthusiastic fans in the world. With their new single to be used in a Docomo commercial and their upcoming European tour in May, ONE OK ROCK continue to receive attention worldwide. But what do they plan to do next with their music? If we look at their activity over recent years, naturally they have come to stand out against all others. ONE OK ROCK have entered the rock scene overseas, allowing for them to approach all-new fans. The band took the opportunity to challenge themselves during their 2014 overseas tour by making way for a different of rock than the type they had cultivated in Japan, and continue to do so today. In order for them to progress to the next stage, ONE OK ROCK will need to ‘betray’ their fans – in good faith. One can definitely see this in their album “35xxxv” which was released in 2015 and is their 7th full album to date. Their original sound continues to lie in each song, but they are adopting programming to create a new sound. People from overseas who don’t know ONE Ok ROCK like the sound and call it “cool”. Above all, the vocalist of American rock band Sleeping With Sirens – well-known throughout the US – Kellin Quinn, featured in ONE OK ROCK’s song “Paper Planes”, which has been called ‘unique’. It is evident that the band are receiving all sorts of praise that they had not before. A deluxe edition of the album titled “35xxxv Deluxe Edition” for North America was also released. Being their North American debut album, the lyrics are composed entirely in English. Not only that, the album also contains 2 bonus tracks. All of this has led to influence worldwide in the rock scene. ONE OK ROCK’s aggressive performances are also one major highlight of the band. Since their formation back in 2005, they have played a lot of live shows, receiving immense support from the younger generation. When ONE OK ROCK appear at a music festival, the audience at once turn the voltage up to max. They are a band who excel at making the crowd go wild – a crowd that all sing and jump together, as the band give a great-to-listen-to show. The band played to 260,000 people across 24 locations during their arena tour last year. They also embarked on their successful world tour around Amierca, Europe and Asia after the announcement of their album. Their true strength is their preparation to face the world. From the power of strong vocals and their up-tempo songs to their crowd-winning ballad numbers, variegated ONE OK ROCK won’t be letting up any time soon. One track to get on is “Always coming back”, a song used for a Docomo commercial, now available on iTunes. Moreover, talk about their Live DVD & Blu-ray 『ONE OK ROCK 2015 “35xxxv”JAPAN TOUR LIVE&DOCUMENTALY』, which was released on April 6th, is evermore ongoing. Be sure to look out for what ONE OK ROCK will be up to next!! 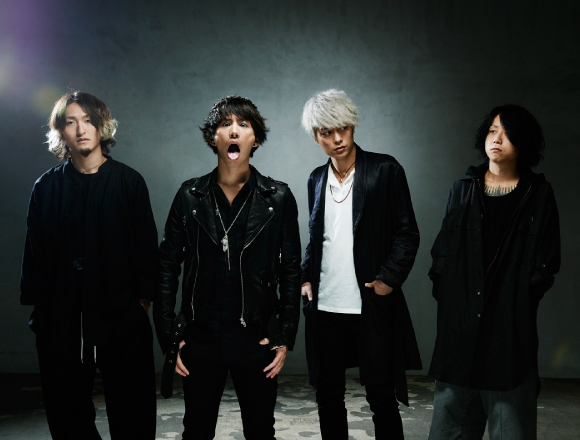 Details of ONE OK ROCK’s live outdoor solo gig to be held from 10th — 11th September announced! 10,000 people anticipated!